284 hours and 11 minutes is how long it took the unorthodox Twitch streamer AaroneousGaming to get to the maximum level in Kingdom Hearts 3, level 99. What is truly astonishing about this fact is that the streamer did so without leaving the game’s opening world, Olympus. It’s also bonkers that this avid fan of the series held back when playing the final part of the saga and opted to complete this time intensive task since Kingdom Hearts 3‘s release on January 29, 2019. He said, “I’m so excited to play this game.” He is now streaming a playthrough of KH3 at this ridiculous level and another at a normal level. AaroneousGaming has finished a Level 99 run in the starting areas of all three main installments: Level 99 on Destiny Islands in Kingdom Hearts, Level 99 in Twilight Town in Kingdom Hearts 2, and now Level 99 on Olympus in Kingdom Hearts 3. It took close to 1,000 hours to accomplish this feat. 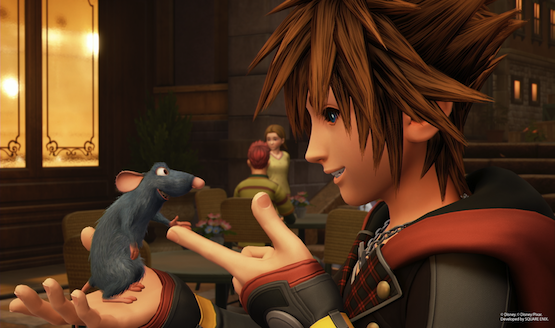 Kingdom Hearts 3, since its release, has shipped more than five million copies worldwide. Later in 2019, the game will be getting free and paid DLC. A Critical Mode is supposedly coming very soon. Fans are hoping the paid DLC will be reminiscent of the Final Mix releases in the past, which have secret bosses, more cutscenes, and tweaked gameplay features.